Your guide for buying the G7 in the U.S. and Canada. 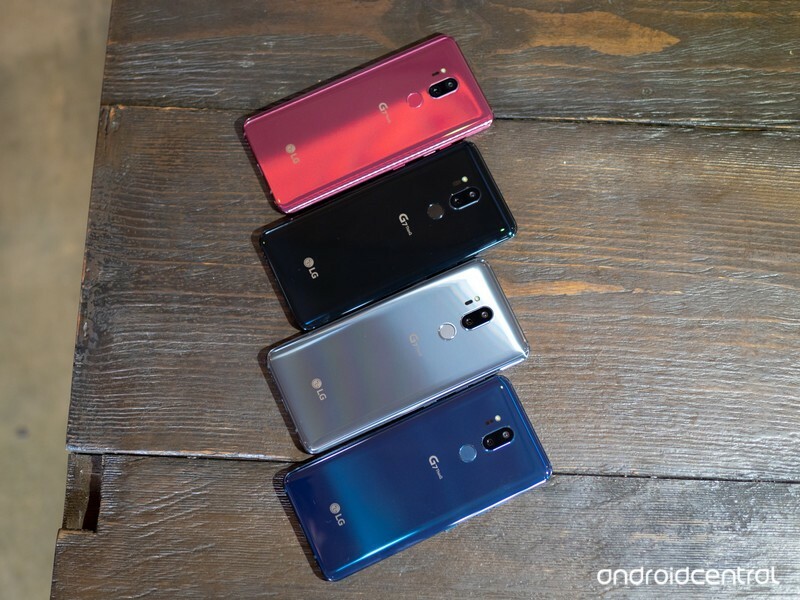 LG’s playing it safe this year with the G7 ThinQ, but that doesn’t necessarily mean it’s a bad phone. In fact, the G7 is one heck of a smartphone that’s at least worth a look. If you live in the United States or Canada and are interested in picking up the G7 ThinQ for yourself, here’s everything you need to know. Although LG devices usually show up on AT&T like clockwork, this year appears to be slightly different. Instead of carrying the G7, AT&T is instead selling the V35 — a phone that has the design of last year’s V30 and the modern specs of the G7. It’s an interesting mashup, to say the least, and one that’ll cost you a pretty penny at $900. If Sprint’s your carrier of choice, you’re going to pay more than most to own the G7. On Sprint, the phone will cost you $33/month for an 18-month lease, and if you decide to keep paying for six more months to actually own the G7, you’ll be looking at a final price of $792 — $42 more than T-Mobile and Verizon. Sprint is offering a lease one, get another for free deal, but you’re required to either add two new lines or upgrade two existing ones. Jumping over to T-Mobile, the G7 costs $30 down and then $30/month afterward, resulting in a final retail price of $750 ($30 more than the Galaxy S9). To help offset the cost, T-Mobile is running a BOGO promo that allows you to get two G7s for the price of one via monthly bill credits. The LG G7 is also available at U.S. Cellular. It costs $749.70 if you buy it with a prepaid plan, but if you purchase it on an installment setup, you can save $300 by paying just $14.99/month for 30 months after monthly bill credits. Should you choose to go the installment route, you’ll pay $0 down and have 0% APR. Not too shabby! Last but not least for U.S. carriers, pricing for the G7 at Verizon is similar to that of T-Mobile, including a payment of $31.25/month for 24 months for a final price of $750. In honor of the G7’s launch, Verizon’s offering an instant $100 off discount just for buying it on an installment plan. Better yet, that deal can be combined with Verizon’s other trade-in promotions. If you prefer buying your phones unlocked, B&H is selling the G7 for $749.99. The phone’s available in Platinum and Black colors, expedited shipping is free, and no tax is collected if you live outside of New York and New Jersey. At Bell, you can purchase the G7 between $199.99 and $399.99 depending on what kind of two-year plan you sign up for. If you prefer to purchase it outright, it’ll set you back $1,049.99. If there’s a Bell store nearby, you can go there, trade-in an eligible phone, sign up for a two-year Premium Plus plan with data, and get the G7 for as little as $0. For SaskTel customers, the carrier’s running a promotion through June 30 that lets you get a $200 bonus credit on top of the trade-in value of your existing phone when you upgrade to the G7. Last but not least, Telus is also selling the LG G7 ThinQ. You’ll pay between $200 and $400 down depending on which plan you choose, and if you prefer to buy the phone outright, you’ll need to hand over $980. Updated June, 2018: Now that the G7’s launched, we’ve refreshed this guide to include final pricing at all U.S. and Canadian carriers/retailers.